In light of what Dumbledore offered Draco in their confrontation in HBP, I have to wonder whether Karkaroff is really dead. Who ever claimed he was dead, anyway? he was found with the dark mark burned all over him. It's in HBP at christmas. 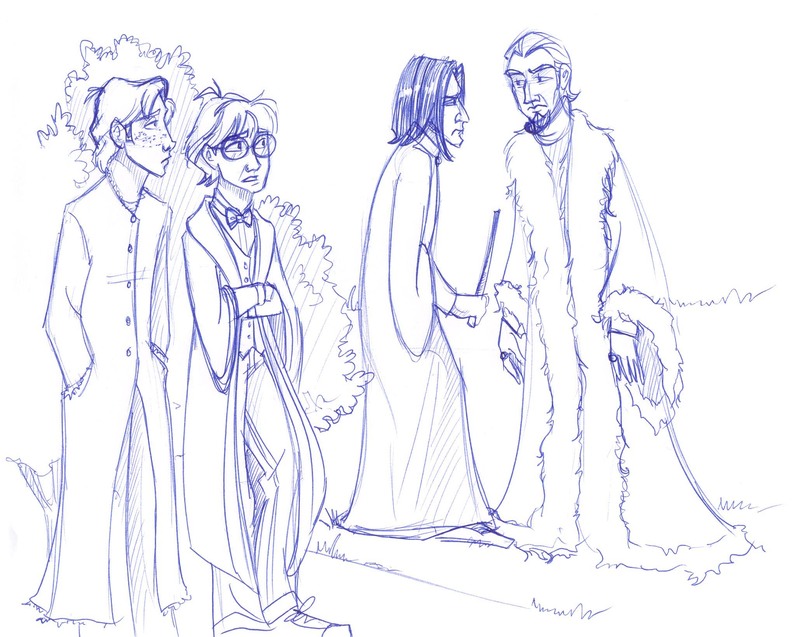 Lovin the dress robes btw! Aren't they a bi4, in the open to be 'overhearing' something? Well, they had to eventually get caught overhearing, didn't they? They were passing from hidden to revealed. Mid-moment.